Mr. Stephen Wayne, principal of Rock Springs Middle School, has an extensive background in secondary education and administration. He has had the opportunity to serve Rutherford County Schools in a variety of positions, allowing him to gain invaluable experience in all aspects of public education. Mr. Wayne had the opportunity to begin his teaching career in Rutherford County at a brand new school in 2006. Mr. Wayne was hired at Stewarts Creek Middle School as the Keyboarding Teacher while the school was still under construction. During his tenure at Stewarts Creek he served as a 6th, 7th and 8th grade exploratory teacher, Dean of Students, Athletic Director, Head Boys and Girls Golf Coach and Head Girls Basketball Coach. In 2013, Mr. Wayne was hired as an Assistant Principal at Riverdale High School where he worked until being promoted to Principal of Rock Springs Middle School in July 2016. Mr. Wayne earned his Bachelor’s of Science degree in Business Marketing and Education from Eastern Kentucky University in 2006. In 2008, he earned a Master’s Degree in Administration and Supervision from Middle Tennessee State University and in 2009 from the same university he earned an Educational Specialist degree in Curriculum and Instruction. It is a pleasure to be a part of the greatest faculty, staff and student body in the state of Tennessee and it is our vision at Rock Springs Middle School to prepare our students to be successful at the middle school level and to equip our students with the necessary tools for success in high school. Cassie MacKay Oring is an Illinois transplant who has now lived in Rutherford County most of her life. She began her career in 2007 as an English teacher at Riverdale High School. Having taught all levels of English I and II, she also comes with experience in the following roles: PLC lead, testing team, school leadership, student council sponsor, RTI chair, ACT instruction coordinator, school-wide literacy planning, new teacher mentor, instructional coach, and team teaching with layered curriculum. After 10 years of experience in the classroom, she moved into the roll of an RTI Coach before joining Rock Springs Middle as an Assistant Principal in 2018. 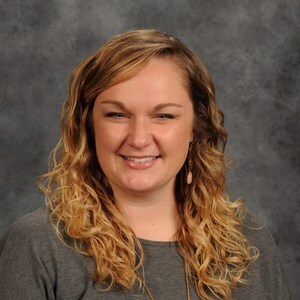 Mrs. Oring graduated with her Bachelor’s in English Education from Olivet Nazarene University and went on to receive her Master's in Educational Leadership from Carson-Newman University. She is married with two children and is thrilled to be a part of the Rock Springs family! Jennifer Devers Clark, a native of Smyrna, Tennessee, has been a lifelong resident of Rutherford County. Mrs. Clark started her educational career as a job coach at Smyrna High School, while finishing her degree from Cumberland University. She joined Rutherford County Schools in 2000 as a special education teacher at Smyrna Middle School. Mrs. Clark also worked in the special education department at Rock Springs Middle School, and then as department chair for special education at Rockvale Middle School. In 2012, Mrs. Clark became an assistant principal for Rockvale Middle and Eagleville School. She transferred to Rock Springs Middle the following school year, 2013. Mrs. Clark graduated with her Bachelors in Education from Cumberland University in 2000. She received her Master’s degree in special education, with an emphasis in visual impairments, from Middle Tennessee State University, as well as her Educational Specialist degree in administration. Mrs. Clark is married to Mr. Nate Clark, who owns Clark Custom Furniture Design and is a graduate of The Ohio State University.